Tilton Zertuche is doing a daily battle against losing herself. A mother to two boys, a five-year-old and a three-month-old, Tilton recognizes that she is trying to combat a common fallacy—one that can consume mothers in the early months and years of their children’s lives. Women experiencing pregnancy for the first time are often inundated with information about maternal and newborn health; suddenly time is measured in weeks instead of months, and abstract concepts calcify into pragmatic practices like taking prenatal supplements and learning which forms of exercise are safe to undertake. This influx of new knowledge can be overwhelming, so much so that by focusing this intensely on her baby’s needs, a mother can find herself on a slippery slope in which her own needs are not met. Mental health is an under-researched and under-advocated component of the maternal and newborn health agenda, largely because there are so many pressing physical health needs to address. However, evidence increasingly shows a correlation between identity and self-care of the mother can influence outcomes during and after childbirth, and in the early stages of newborn life. The erasure of maternal identity sounds intangible, but it is not. Simply put, a woman’s perception of self can shift abruptly from, for example, “Tilton, a poet and artist” to “Tilton, a mother”. This is rarely deliberate, but because a new mother might not have the time nor the energy to maintain the previous components of her identity, she might experience an increased likelihood of suffering from mental health issues in the short, medium and long-term. The practice of self-care is not always easy to maintain when there are multiple children to care for amidst a number of competing priorities, but Tilton’s practice is one strongly associated with better health and wellbeing. Regardless of the hobby, it can be replicated by any new mother seeking to maintain a sense of self during the whirlwind of domestic labor and childrearing. New mothers need to understand that their own wellbeing is not a by-product of successfully managing the elusive work-life balance. Good maternal mental health is a necessity that requires conscious effort. Post-partum depression is well-documented in mothers who may experience traumatic childbirth, sleep deprivation in the first months of a child’s life, or even feel guilt for resting outside of the baby’s sleep schedule. Self-love and self-care can combat this. 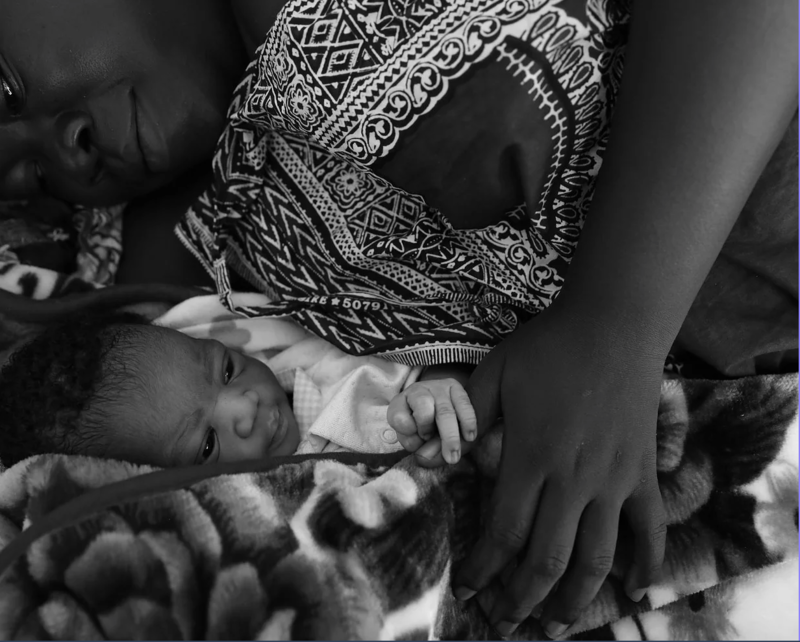 The Sustainable Development Goals (SDGs) have done a great deal to curb maternal mortality and morbidity around the world—particularly in parts of Africa where resources are scant. However, the SDGs must better recognize the importance of maternal mental health in reducing incidences of maternal mental health issues. In countries equipped with well-resourced health frameworks, the leading cause of maternal death is suicide. Though SDG 3.4 aims to reduce premature mortality from non-communicable diseases by one third through mental health initiatives, there are few civil society organizations or government partners working in the crucial work of ending suicide, and less still in maternal mental health. As development partners around the world seek to improve the wellbeing of women and their families in various spaces, mental health must be increasingly incorporated into programmatic strategies to create and maintain holistic health. Appropriately briefing mothers on the ways in which hormonal, chemical, physical, and emotional changes incurred by pregnancy and childbirth is critical to reduce post-partum depression and decreasing the risk of maternal suicide. If doctors, nurses, and midwives, working with expectant mothers place an emphasis on the importance of doing things for one’s own wellbeing—such as: sleeping; leaving the baby with a trusted friend or family member for a few hours; or undertaking a hobby that makes the mother feel like her pre-motherhood self—, the dark correlation between motherhood and mental illness can be combated more effectively. New mothers must regard their own self-maintenance with the same diligence as a medical prescription: no negotiation, no neglect, it’s necessary to maintain good health. But it is a choice. A project. For many women who struggle to justify the effort to themselves: it is work. Click here to read the unabridged version of this article. Scarlett Hawkins is a Communications consultant and author hailing from Melbourne, Australia. Scarlett cut her teeth in Communications through advocacy of workers’ rights and youth engagement in policy development, before becoming a co-founder and Communications Director of a national gender equality organization. Scarlett joined Global Office Consulting upon moving to London, where she has devised creative and strategic Communications and Advocacy for the International Development agenda at the 61st United Nations Commission for the Status of Women, and the 71st United Nations General Assembly, and the 4th Women Deliver Global Conference. Scarlett holds a Bachelors degree in International Politics & Counter-Terrorism from Monash University and Université Jean Moulin Lyon III. She has written four novels, toured internationally as a spoken word poet, and scribed numerous articles for publications including Expedia, The Big Smoke, Uncommonlot, Mills & Boon, and Feast Melbourne on the subjects of International Development, gender equality, political discourse, social justice, food, travel, Southeast Asian politics, the art of writing, and mental health awareness. As we seek to create global youth engagement in all international development spaces, Every Woman Every Child is partnering with Wellbeing for Women Africa, encouraging young writers to discuss discuss key issues affecting women’s, children’s and adolescents’ health and wellbeing.